Prediabetes is a common condition which often precedes the development of Type 2 Diabetes. Current estimates suggest that 79 million people in the United States have this disease. 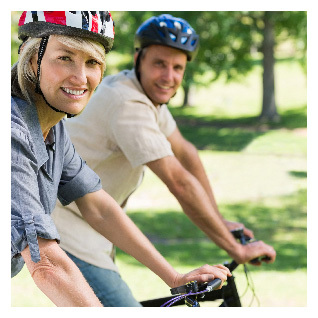 As the name implies, people with prediabetes are at an increased risk for developing diabetes. Estimates for the risk of progression to diabetes vary. Some studies report a progression rate of 6-10% per year, while others report that 20% of people with prediabetes will have progressed to diabetes within 10 years of their diagnosis. In the Diabetes Prevention Trial, the progression rate was 11%/year during 3 years of follow-up. Progression to Diabetes may be higher among African Americans and Hispanic Americans. Prediabetes is defined by blood glucose results obtained through laboratory testing. It can not be diagnosed by finger stick blood glucose testing. There are three ways to diagnose prediabetes: an elevated fasting blood glucose, an elevated 2 hour blood glucose, or an elevated HA1c. A fasting blood glucose from 100 mg/dl to 125 mg/dl is consistent with prediabetes. Fasting glucose is defined as an overnight fast of at least 8 hours. Most people without any blood glucose abnormality have fasting blood glucoses which are less than 90 mg/dl. A 2-hour blood glucose from 140 to 199 mg/dl is also consistent with a diagnosis of prediabetes. This is traditionally obtained 2 hours after a 75 gram oral glucose load is given in the morning after an overnight fast. If only the fasting glucose is elevated, the diagnosis is Impaired Fasting Glucose (IFG). 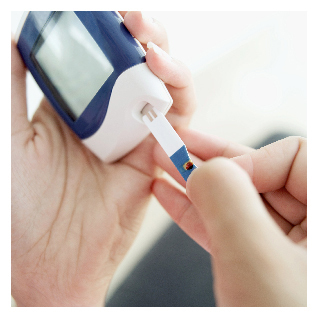 If the 2-hour blood glucose is elevated, the diagnosis is Impaired Glucose Tolerance (IGT). Prediabetes, IFG and IGT are different names for the same problem. They denote a condition where there is an increased risk of diabetes in the future. The ADA has also recommended using an elevated HA1C of 5.7% to 6.4% to diagnose prediabetes. Some endocrinologists, myself included, prefer traditional blood glucose measurements for diagnosis of this disorder. As might be expected, abnormalities in insulin secretion, and risk for progression to diabetes, are greatest in people with the highest glucose levels. In addition to an increased risk for diabetes, people with prediabetes are at an increased risk for developing heart disease. The STOP-NIDDM study (JAMA 2003) and the DREAM study (Lancet 2006) suggested a 2x increased risk for heart disease. Given the increased risk for diabetes and heart disease in this population, there have been significant efforts directed towards treating this disease. Several large, prospective prevention trials have been published during the last 10 years. The largest of these was the Diabetes Prevention Program (DPP), published in the NEJM 2002. The DPP reported reported a 58% reduction in the progression to diabetes at 6 years with a weight reduction of 5-10% and 30 minutes of exercise 5 days per week. Progression to diabetes was reduced from 11%/year to 5%/year, with the greatest benefit in patients who were 60 years or older. A subsequent analysis reported that weight loss was the greatest predictor of success. Similar results were reported in published diabetes prevention trials from Finland and China. In at least one of the prevention studies, diabetic related eye disease was already present in 8% of people with prediabetes (Lancet 2008). Given the marked reduction in the expected progression to diabetes associated with weight loss, lifestyle intervention is critical in treating people with prediabetes. I typically recommend a traditional weight loss program with a goal weight loss of 5-10%. Consultation with a registered dietitian is often helpful. Fad diets, which are difficult to maintain, should be avoided. I also recommend a low-impact, moderate exercise regimen (30 minutes/day, 5 days/week). This should only be initiated once cardiac clearance has been obtained. Medications have also been associated with a significant reduction in progression of prediabetes. The DPP reported a 31% reduction in progression to diabetes among prediabetics treated with Metformin. Metformin was most effective in people who were 25-40 years old and were the most overweight. I typically discuss Metformin with overweight patients with prediabetes who are unable to sustain a significant weight loss with lifestyle interventions. A 72% reduction in progression to diabetes was also reported with Actos (NEJM 2011). This reduction occurred despite fluid retention in many patients as well as an average weight gain of 8.5 pounds. Given the reported weight gain, as well as other risks associated with this class of medications, I don't use Actos in people with prediabetes. People at increased risk for prediabetes include those with a first degree relative with diabetes, people who are overweight, African Americans, Hispanic Americans, Asian Americans, women with a history of gestational diabetes or babies weighing more than 9 pounds, and people who are physically inactive or have a history of heart disease. If you are in one of these risk groups, discuss glucose testing with your physician. Once diagnosed with prediabetes, you should be monitored by your physician every year for progression to diabetes. Most importantly, do not become discouraged. Lifestyle interventions can have a significant impact on this disease!